Between the overnight camping trips taken by preschoolers in Germany and the Welsh outdoor adventure playground that looks like the aftermath of an apocalypse, we’re inclined to agree with the global view that American kids are more than a wee bit sheltered and overprotected. 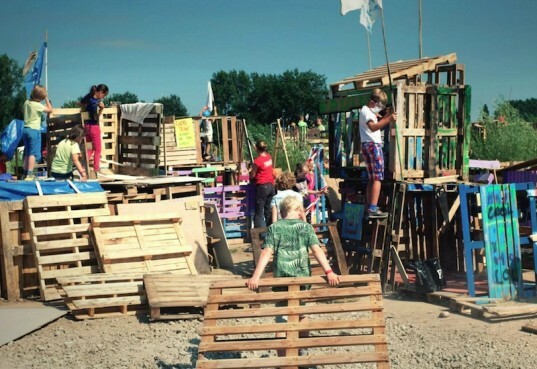 Seeing how Dutch kids built an entire village made out of pallets and wood scraps at summer camp did nothing to dispel this myth, but went a long way in showing how children, with just a little guidance (and some safety measures thrown in), can accomplish way more than we give them credit for. The yearly camp is called Timmerdorp, which means Hammertown, and these kids certainly learn the art of hammering, along with teamwork, creativity, resourcefulness, and developing a good work ethic. At Timmerdorp, 650 kids ages seven to twelve divide into groups and build shacks and villages. 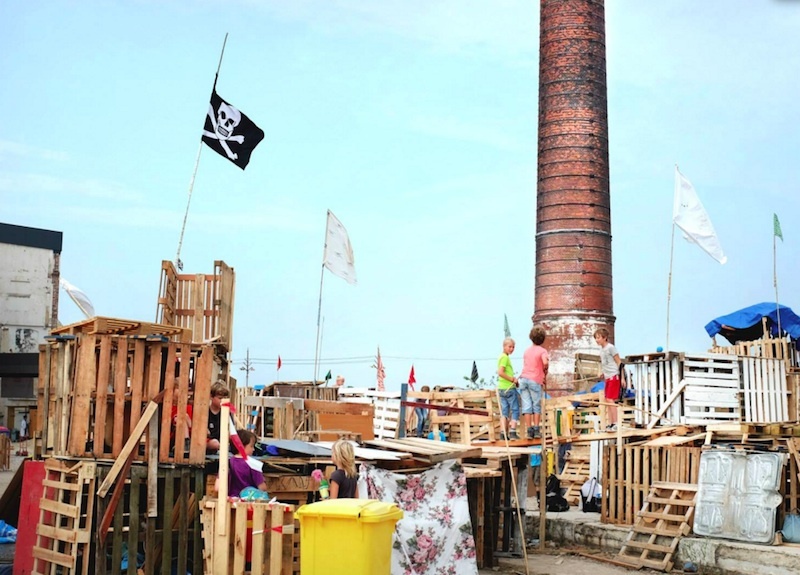 For each of the four days of the camp, the children work together to construct and decorate their structures, some of which are impressive multilevels. The campers also have games and performances and very little parent participation. Parents and family members are allowed in to view the huts towards the end of camp, but otherwise, the kids operate with the help of their counselors, volunteers, and each other. The camp, in addition to being incredibly affordable, appeals to the can-do attitude of kids, with their website remarking, “The only thing the children need are a pair of thick shoes, pliers, saw, brushes, and good humor.” While there is obviously the potential for quite a few accidents, minor thumb injuries appear to be the most common, unsurprisingly. The whole experience appears to be a beloved one with the camp attendance now maxed out each year. No surprise there: how many 7 year-olds come back from summer vacation with their first building construction under their belts? Between the overnight camping trips taken by preschoolers in Germany�and the�Welsh outdoor adventure playground that looks like the aftermath of an apocalypse, we're inclined�to agree with the global view that American kids are more than a wee bit sheltered and overprotected. 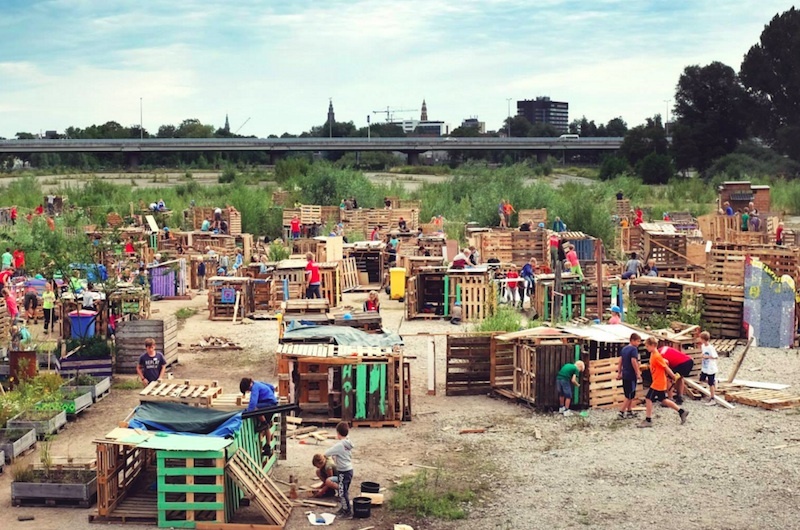 �Seeing how Dutch kids built an entire village made out of pallets and wood scraps at summer camp did nothing to dispel this myth, but went a long way in showing how children, with just a little guidance (and some safety measures thrown in), can accomplish way more than we give them credit for. The yearly camp is called Timmerdorp, which means Hammertown, and these kids certainly learn the art of hammering, along with teamwork, creativity, resourcefulness, and developing a good work ethic.